You ideally want to produce clean hydrogen fuel using clean sources, and Dutch researchers have taken a big step toward making that a practical reality. They've built a solar cell that uses a grid of gallium phosphide nanowires to make hydrogen gas from water. The approach gets a useful yield of about 2.9 percent in lab tests. That may not sound like much, but it's about 10 times more effective than previous techniques and uses 10,000 times less exotic material. It's still going to take more refinements before this kind of technology is practical. Even hooking up silicon cells to a battery nets a 15 percent yield, for example. 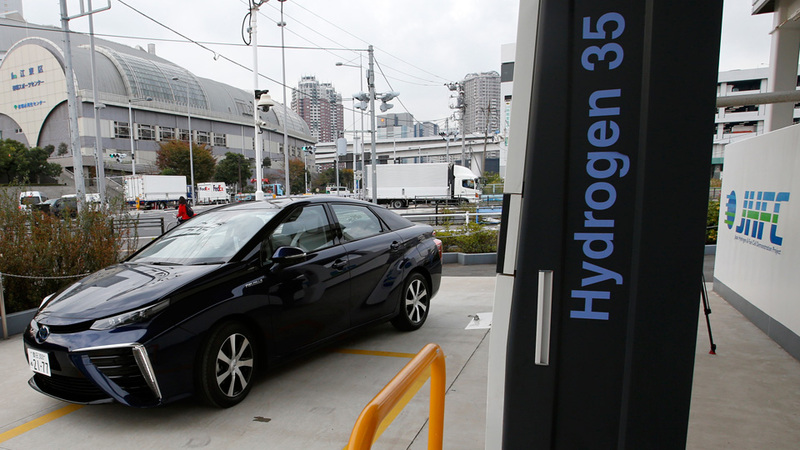 If scientists improve their methods, though, you could be driving hydrogen cars whose fuel is eco-friendly at every step, not just when it's in your vehicle.